Poorer and historically conflictive parts of Colombia went for former Bogotá mayor Gustavo Petro. 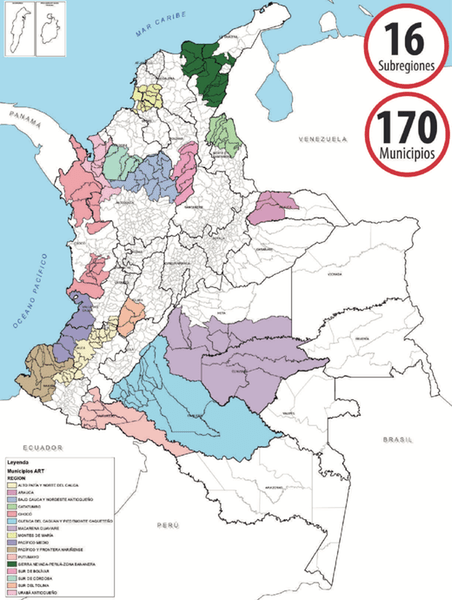 Wealthier parts of Colombia went for former Medellín mayor Sergio Fajardo. Parts of Colombia that are neither too poor nor overly wealthy went for Iván Duque, the candidate of ex-president Álvaro Uribe’s party. Duque underperformed, and Fajardo overperformed, in big cities. Historically conflictive territories went for Petro. Municipalities that voted “no” in the October 2016 plebiscite voted overwhelmingly for Duque. Municipalities that voted “yes” in the October 2016 plebiscite went for Petro. Places that are not too poor, but not too wealthy, went heavily for Duque. Duque underperformed in the poorest and wealthiest places. Petro won the poorest places. Fajardo won the wealthiest places. Duque underperformed, and Fajardo overperformed, in the biggest cities. Duque overperformed in the countryside.